Czestochowa, is a city in southern Poland. Located on the Warta River with 322 only inhabitants as of June 2018. The monastery is the home of the Black Madonna painting, a shrine to the Virgin Mary that is credited with many miracles. Book your airport-hotel or hotel-airport transfers and enjoy a worry free arrival and departure. Options for all the main cities in Poland. Best way, specially when you visit Poland for the first time. Still not the cheapest option. An awesome journey to the Capital of Culture during 2016. Wrocław, also known as the City of 100 Bridges. Either you are living in Wroclaw or you are just a visitor, its always something new to learn about. 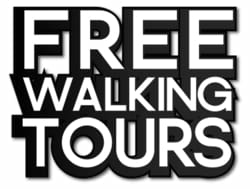 Below tours will help you discover many exciting facts from the city history and culture. 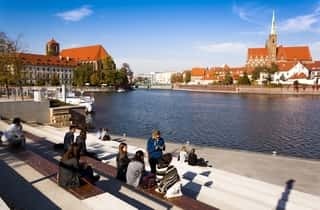 Check what things to do in Wroclaw!! Łódż in Poland is a beautiful and unusual but energetic city. Łódż ghetto, was established by the Nazi German in 1939. It was the second-largest ghetto in all the German-occupied Europe. Discover Warsaw countryside. The most amazing part of Poland. Rather than the noisy city and traditional tours. Let's do something different this time. Let's visit the beautiful Polish countryside and see an amazing place, enjoy the fresh air, swim and have some fun. Torun is one of the oldest and most beautiful cities in Poland. It is a medieval Gothic town and it is an UNESCO Site. Time to discover the city where Nicolaus Copernicus was borned in Poland. Visit Krakow and Wieliczka Salt Mine from Warsaw. The “Wieliczka” Salt Mine is one of the most valuable monuments of material and spiritual culture in Poland. It is much more than just a Salt Mine. Krakow is a fairy tales city and must see in Poland.